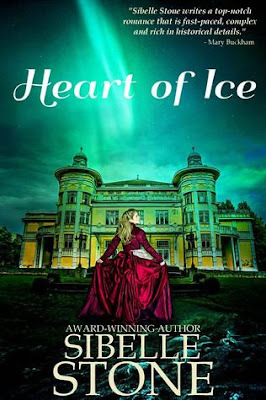 Heart of Ice by Sibelle Stone attracted me because of the title and the cover. The blurb is also pretty interesting. This is a different kind of story and I enjoyed the settings of the story. It has an overall mysterious, dark. gothic feel to it. The characters are well developed and I enjoyed following the chemistry of the protagonists and had fun watching them stumble on their path to love. The writing style is vivid and created a mental picture in my mind. I loved how the author brought the book world right to me and made me feel like I was there. The pace is good and mystery is maintained but the end I felt was a bit rushed and could have been dealt better. All in all, Heart of Ice by Sibelle Stone is entertaining and I enjoyed reading it. 4 out of 5 stars to it and recommended to all lovers of historical romance with plenty of suspense.